Montenegro’s major seaport, Bar is obviously on the coast but unlikely to make anyone’s holiday highlight. I fled early and headed to a proper swimming location. One of my original itineraries was to visit Ulcinj in the south of Montenegro, and from there to go to the Skadar Lake and the town of Skoder in Albania. I eventually defaulted for Budva for safety reasons; apparently the north of Albania is not the greatest hangout place for a solo female traveller. As I was waiting innocently for the bus to Budva, a massive Land Rover stopped next to me. The sliding window revealed a man of around 30 years old and a grandmother (presumably, his own). I was being offered a lift to Budva for only a few euros, and I could not refuse. I guess it was the sight of the grandmother which partly allayed my fears of driving with a stranger. The driver, Izet, turned out to be a Muslim Serb (yes, a Muslim Serb, not a Bosniak) from Novi Pazar. One look at me was apparently enough for him to “have found his sole destiny”. From the moment I climbed into that massive car until our arrival in Budva, I had been the unsolicited listener to more flaming love confessions than in my entire (pre-Izet) life. After a brief outline of our future married life together, I was eventually proposed to, but politely refused. Failing to convince me by conventional methods, Izet asked if I preferred gold or silver; thinking about it now, I should totally have asked for a diamond or two. Izet then wrote down his telephone number three times and forced every piece of paper into my hands; “three is my lucky number”. It was hilarious! The entertainment continued up to the point when Izet slipped a bit about me “staying at home and never having to work again”. Isn’t that every woman’s worst nightmare? Somehow the joke did not seem funny anymore. We were very near Budva, and I urged Izet to stop the car, stuffed some coins into his hand, pulled the door open and ran free. Never having to work again? No, thank you. 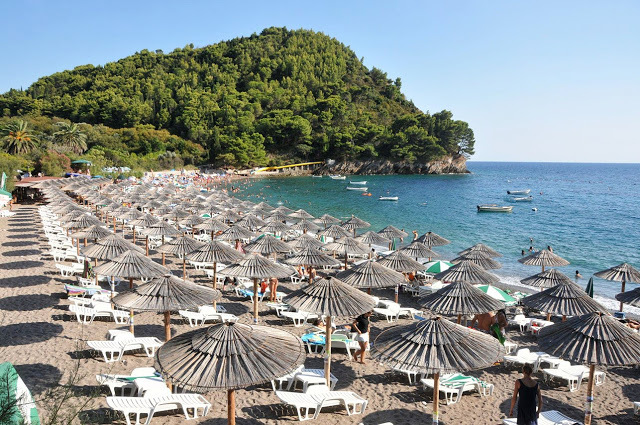 Budva is best known for being the most popular holiday destination in Montenegro. The city’s population of around 15,000 fades next to over 300,000 visitors the city receives annually. Budva’s popularity with many of my Russian friends, as well as its reputation as a “Mediterranean Kuwait” for the number of millionaires per head of permanent population meant that I was keen to see the city for myself – even if it did not sound like my typical choice of a holiday destination. My first impression of Budva was predictable; I did anticipate seeing a few Russians around. 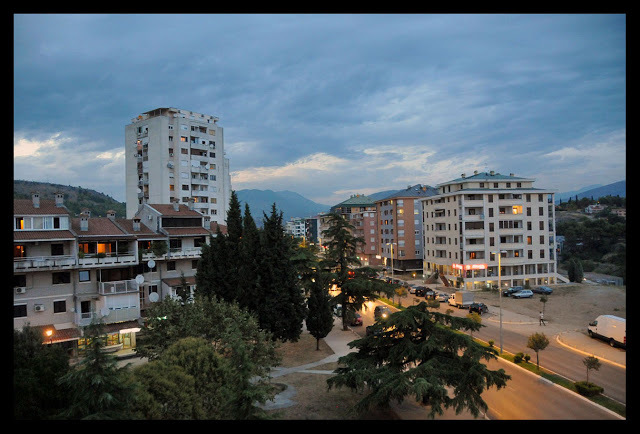 Even then, the city looked more like a mini version of Sochi rather than the Balkans. The surrounding shop signs were in Russian; Russian-speaking people were passing me by and shop owners were greeting me – на великом и могучем, of course. It was a real Russian empire. I called my mother to share, and, proudly, she said that “the greatest country, Russia will soon take over the whole world, not just Budva”. In case anyone wonders, my mother is Russian. By the sound of it, she is probably more Russian that Putin himself. 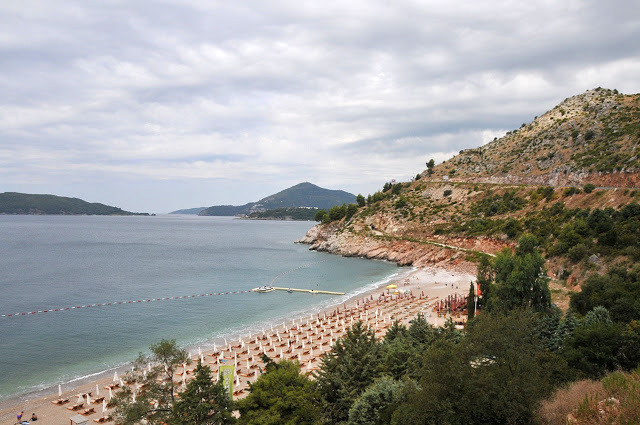 I left my luggage at a conveniently located Kangaroo hotel (whose Montenegrin owners lived in Australia for a while, hence the name) and headed to the Slovenska plaža (“Slavic beach”) of Budva. I had been told there were much nicer beaches outside the city – which had to be true, as the “Slavic beach” was indeed quite disgusting. The water by the coast did not even seem salty anymore, so dirty it was. The noise of the throngs of people – and the entertainment facilities targeting them – were enough to block away the subtle symphony of the Adriatic waves. After the previous day’s train journey, however, I really did not mind too much. My first day in Budva ended with an evening walk. 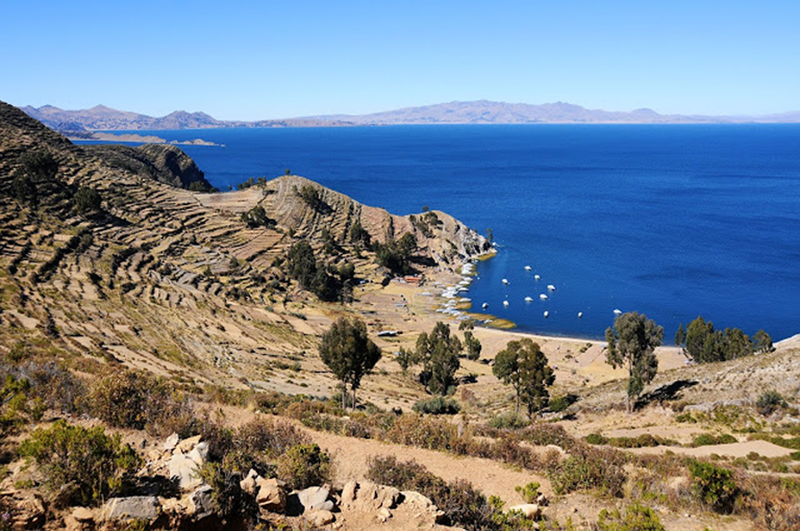 A long promenade along the coast led to the cosy, Venetian-inspired Old Town. Impressive yachts were swaying gently on the waves beside it. I just could not understand why anyone with so much money would ever choose to come to Budva, of all places. 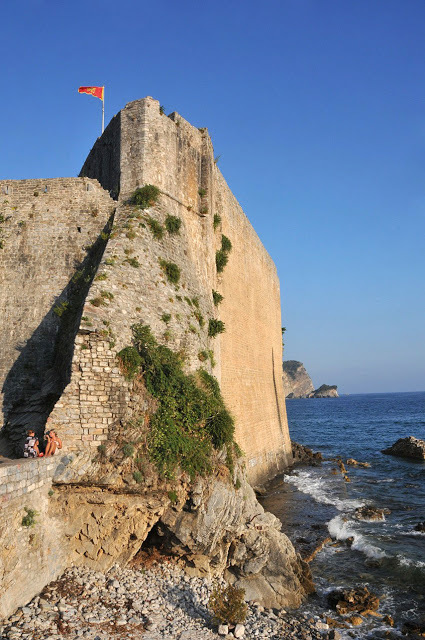 The best views over the Old Town, the harbour and the surrounding scenery of Budva were from the Citadela fortress. I met a few visitors from the former Soviet Union at the top, including a few Latvians living and working in London. So many of us have moved to the UK that I wonder how many have actually stayed in our ailing motherland – and how many will ever return. I fled the hotel early that Sunday morning, and headed off to Sveti Stefan. The distance of 6 km seemed only insignificant; hadn’t I done much longer distances before? Onwards I walked, enjoying some of the most spectacular Adriatic views. Somewhat lowered by Budva, my opinion of Montenegro finally began improving – although I would still disagree with anyone trying to sell the country as “the world’s untouched corner”. Commercial construction works seemed to be going on all around. Trust me; this bride will be anything but a virgin. The island resort of Sveti Stefan is connected to the mainland by a narrow isthmus. 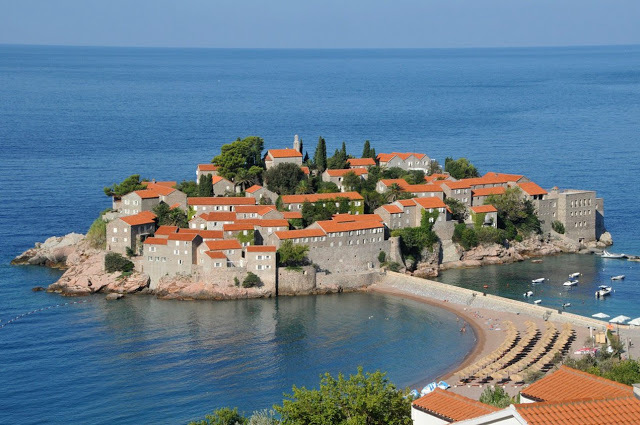 It used to be a fishing village but had its last remaining inhabitants evicted back in the 1950s, after which Sveti Stefan was turned into a luxury resort. It enjoyed substantial popularity until the early 1990s, when, with Yugoslavia collapsing, the complex went into decline. The Amanresorts luxury hotel group acquired Sveti Stefan in 2007 and made plans to return it to former glory – but has since fallen victim to the global financial crisis and failed to re-open the resort to date. Sveti Stefan looked most stunning on the Adriatic’s blue background. Unaware of the access restrictions, I was looking forward to coming in – but was stopped by a red warning sign at the start of the bridge. “Hotel guests only”, it read. I was a bit taken aback but did not look glamorous enough to pretend to be an actual “guest”. A grand re-opening of the island is apparently scheduled on 4 September 2010. I guess I will have to come again! I continued to Petrovac, a town 11 km south of Sveti Stefan. 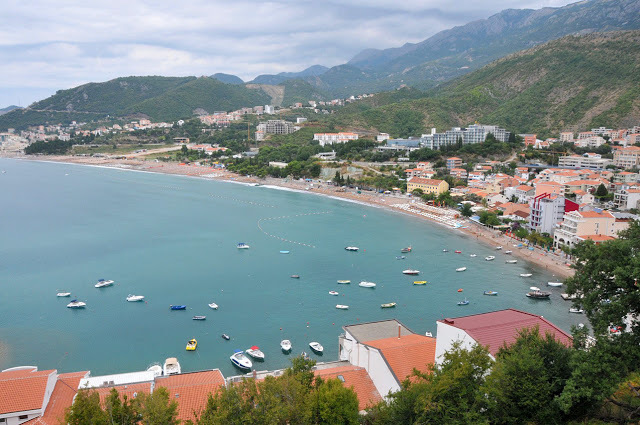 The place is famous for its long namesake beach, as well as a smaller Lučica beach 500 m south of the town centre. Having heard good recommendations for Lučica from a friend (hvala, Miloše! ), I made my way there. Lučica was true paradise of a natural harbour with cleanest sapphire water, green pine trees topping the surrounding hills and thick white sand. It was without doubt among the best beaches I had set my foot on. And, after living in Greece for eight months, I uphold pretty high standards; recommended unreservedly. 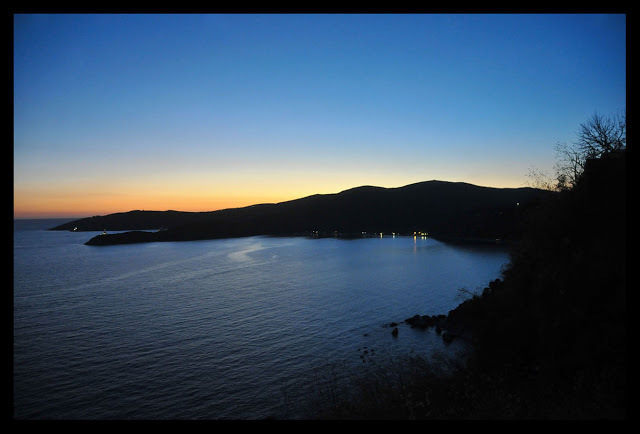 After returning to Budva in the early evening, I felt like taking a walk in the opposite direction – north, towards Tivat. In the final moments of light, I spotted a small path leading left from the main road, just before what looked like a long tunnel. “Mogren fortress”, the sign read, and I gathered it could be an interesting detour. Suddenly I felt the hectic feel of a summer resort dissolving in the silent beauty of a secluded sunset. That is exactly why I love the likes of non-mainstream Greek islands, which combine the comforts of a regular summer holiday with the solitude and magnificent panoramas made for you and no-one else but you. The Adriatic sunset in front of me was truly mesmerising in its glory. I was so carried away taking photos of the fading sun that I barely noticed I was not the only person at Mogren that evening. Some Polish campers had likewise chosen the cliff for its peacefulness, and were making themselves comfortable there. Out came the tent and the bonfire. I briefly wondered if DIY bonfires were allowed in Montenegro – but, judging by the confidence of the fire starters, they obviously were. 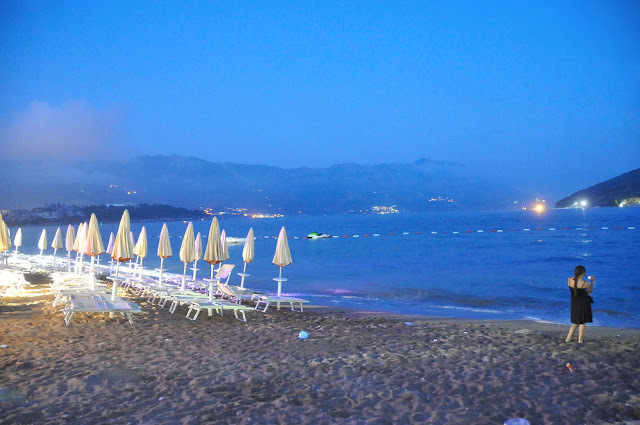 It finally got too dark to take pictures, and I turned back to Budva. I should not have worried about it being dark, though. Just as I was exiting the fortress, the light of several flashlights blinded me. A fire-fighters vehicle was blocking the way, and several fire-fighters were out. What was going on? “Šta radiš tu?” asked one of the fire-fighters in Serbian. “What are you doing here?” “Slike radim / Making photos” I answered. The fire-fighters laughed. I better had told them who had started the fire. Perhaps it was I who did? Surely there were no other tourists at Mogren that night. After defending myself in trembling Serbian (I was somewhat scared) and getting showered in disbelief and further accusations, I was asked to lead the men towards the fire. As expected, they let me off after seeing the Polish group. One of the fire-fighters walked me back to the highway. The fact that a female was travelling on her own seemed to puzzle him. “Jesi li sama? Kako si se naučila srpski?” he asked. “Are you alone? 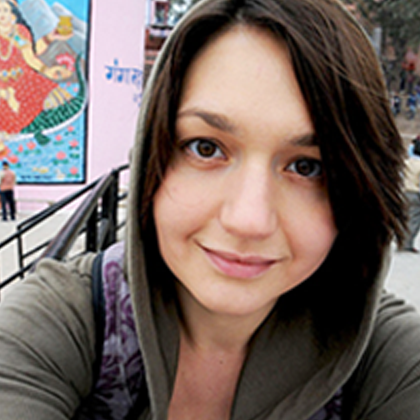 How did you learn Serbian?” I made the fatal mistake of telling the truth on both fronts: firstly, that yes I was alone and, secondly, that I actually used to have a Serbian boyfriend for a while. Never say that to anyone in former Yugoslavia, as they will feel a sort of a gentleman’s obligation to step in as a replacement. My fire-fighter’s next question was, predictably, if the two of us could go for a drink. And by the way, did I have a phone number? I decided not to wait until my new acquaintance would no doubt burst out in opulent marriage proposals, politely declined and escaped into the night. I had a late and slow start to the next day. For about a month, I had spent my weekends (1) working, (2) soaking in the generous rain of Prague and Copenhagen, (3) falling off the mist-surrounded cliffs on the Faroe Islands, (4) getting up between 3 and 4am to catch some flight and (5) curing my limbs after bike and cliff accidents. I hope therefore that the lazy schedule of my Montenegrin getaway can be excused. As much as I had enjoyed the Lučica beach, I had to try the others as well, and headed to Drobni Pijesak. The “ground sand” was a bit of a misnomer, as the beach was lined by rather sizeable pebbles – but it was still a fantastic swimming spot. Even with the misfortune of hitting a sea urchin with my right foot (beware) and crawling in pain for a few minutes, I had a blast. Compared to Croatia’s almost absolute prevalence of rocks and the resulting absence of beaches proper, Montenegro made a lovely change. 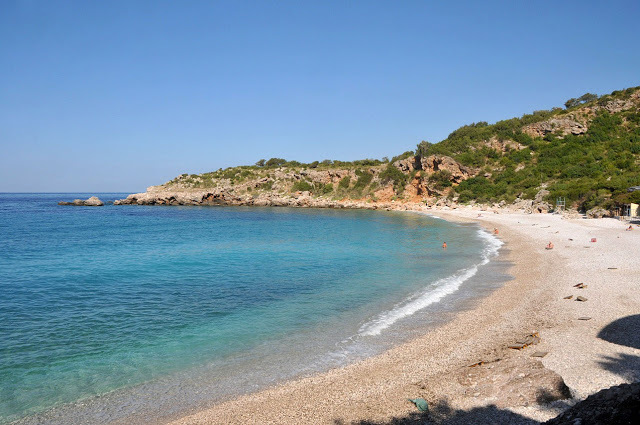 Drobni Pijesak beach: so wonderfully mine! I had some colleagues to say hello to in Montenegro’s capital, Podgorica, and left the beach around 1pm. 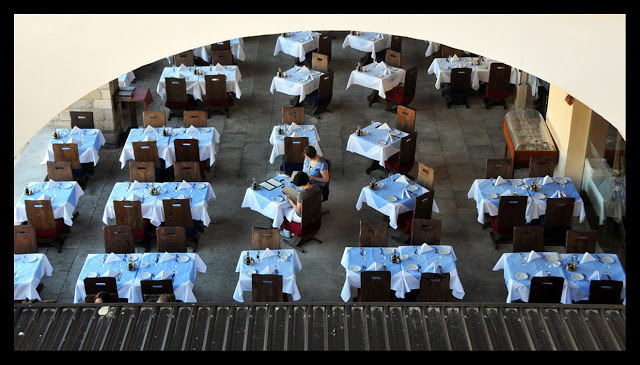 Together with Prishtina, Podgorica was one of the two ex-Yugoslavian capitals I had not yet had the chance to visit. Halfway between Budva and Podgorica lay Cetinje, a small Montenegrin town better known these days as the gateway for Lovćen National Park. 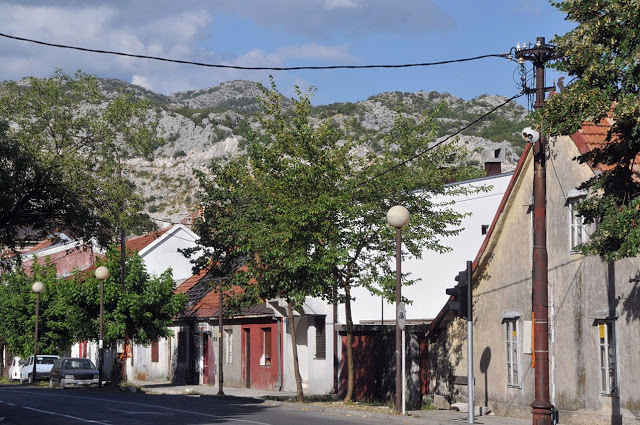 Thanks to its substantial historical heritage as Montenegro’s former capital and a major religious centre, Cetinje currently holds the honorary capital status. It is also the official residence of the country’s president. I briefly stopped in Cetinje and found the place a wonderful oasis of calmness compared to the commercial Budva. 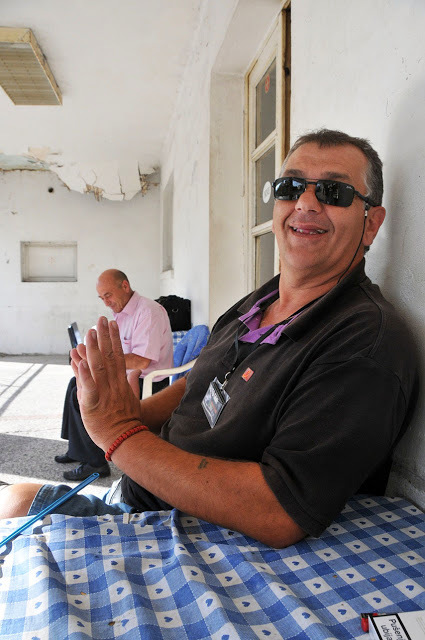 There was nothing much to see in the small town though, so I headed back to the bus station to catch further connection to Podgorica. A taxi driver there started talking to me; somehow most Montenegrin people seemed friendly towards strangers. I was offered a Turkish coffee and a free ride to Podgorica. Why would I be waiting the long five minutes for the bus, anyway? A relative of Uncle Pedja was duly called, and a beautiful car was soon taking me to Podgorica. 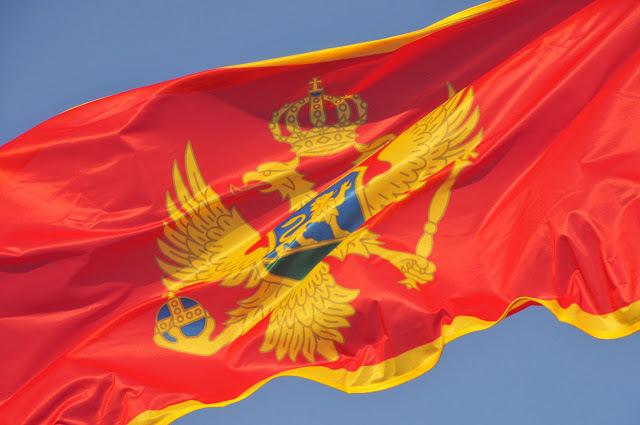 Seriously, by that point, I was very much a fan of Montenegro and especially its people. The mountainous scenery on the Cetinje-Podgorica road was unbelievably beautiful. “Skadar Lake” my driver Saša (apparently a travel agent) said, pointing ahead. I looked straight. Green hills were rising all around, and the lake stood out with its mysterious haze in-between. We turned around the hill, and Podgorica suddenly emerged from a valley below, gloriously lit by the rays of an early evening sun. I did not expect anything of the sort. “Lepa vam je zemlja” I gasped, admiring the stunning beauty of Montenegro, “Yours is a beautiful country”. Saša smiled, pulled out a card with a telephone number and gave it to me. “Next time you’re here, call me” he said. “All excursions for you are free of charge”. Despite what all my Serbian friends had been brainwashing me for years, Podgorica was actually a very lovely place. With the population of just around 140 thousand, the capital also had a pleasant provincial feel. Many thanks to my wonderful colleagues Rado and Miloš (yes, that was the third Miloš I met within only four days) for a great city introduction! I did not have a chance to take many photos in Podgorica this time, but I am definitely coming back. Day 6: Goodbye Budva, Hello Dubrovnik! Was that really the bus taking us to Dubrovnik? In front of me stood a very old make of an inter-city bus indeed. I consoled myself with the fact that the journey from Budva would not last longer than three hours. Besides, the bus leaving to Skopje from the next bay (and travelling over a much longer distance) deserved a lot more sympathy than ours. Three hours must have been an optimistic estimate, as the queue of cars at the Croatian border looked truly insurmountable. French, Italian, Romanian, Slovak, Hungarian and local plates were trailing each other on the long way to the passport control. I sighed and prepared myself for a lengthy wait. It was the final day before school (1 September in many parts of Europe), and the parents were no doubt rushing to get their offspring home for the occasion. It had not even been two hours before my passport was freshly stamped. Croatian passport controllers are matchlessly more creative than their counterparts elsewhere, and stamp my passport in a number of interesting ways. If it is not in the middle of a blank page, then it must be on the folding line of two pages, upside down, on top of my Russian visa (!) or, better still, in the “children” section of my passport. How am I going to explain to my future children why their names are neighbouring some Croatian stamps in my passport? Good thing the document will have probably expired by then. The road from the Montenegrin border to Dubrovnik featured some stunning panoramic views. I had taken it twice before and was looking out for the first sight of Dubrovnik in the distance. The city soon emerged out of the Adriatic blue, in all its glory. I asked myself what I was only thinking to waste my time in Budva for three days. Comparing the two cities was like flashing a light next to the sun. 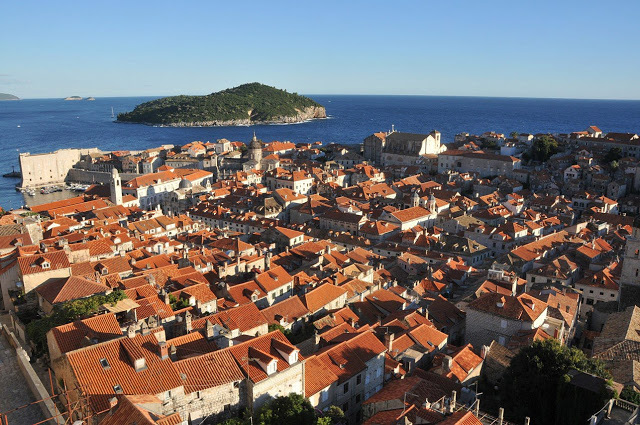 Dubrovnik was rightly called the “Pearl of the Adriatic”. Finally the 5-hour transfer was over. I had reached the same hotel where I had also stayed the previous year. It was located on the western side of the Lapad peninsula, a 10-minute bus ride from Dubrovnik’s Old Town. 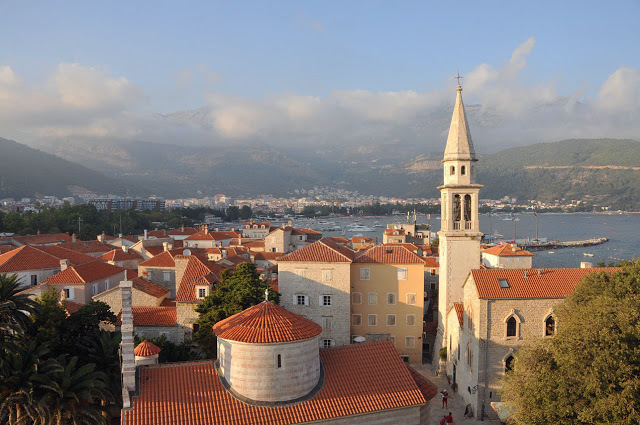 The hotels of Dubrovnik are anything but cheap, and I could not dream of sleeping in a more central location. At check-in, I had planned a very special experiment. During my 2009 “Balkan Odyssey”, I was told by the hotel staff that the correct way to say “Latvia” in Serbo-Croatian was “Latvija” – and that the reason Serbs were calling it “Letonija” was that “Serbs always got it wrong”. After the 1990s war in former Yugoslavia and the bombing of Dubrovnik by the Yugoslav army, this hardly came as a surprise. I was wondering if the times had changed and addressed the reception lady in the Serbian version of their language. She barely took notice and served me (in Croatian from her side) just like she did the English-speaking couple before me. Even later, my Serbian was generally accepted well around town. An obvious improvement from last time. After a quick dip in the Lapad bay (the sea was somewhat stormy but warm), I made my way to central Dubrovnik. 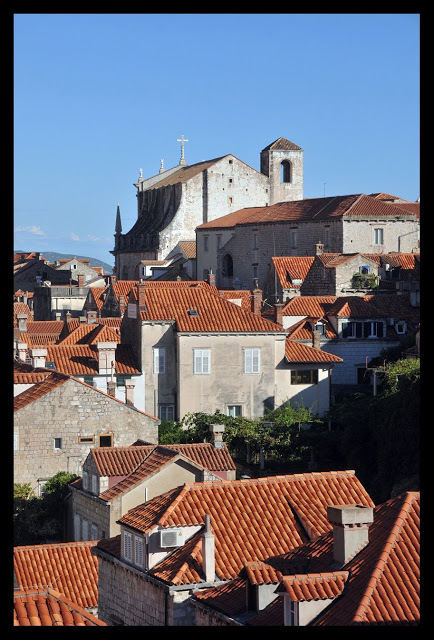 I had actually hoped to see Cavtat instead, as I had already been to Dubrovnik before – but could not resist re-visiting the glorious city where I had only one day to spare. There is nothing much I can say about Dubrovnik that has not been said before. With its old fortification walls, red tiled roofs and stone paved streets, the city is an unmatched sight in the modern world, and everyone should visit it at least once. Be careful though, as the place is truly addictive (view my full Flickr photo set here). The night was setting in when I returned to the hotel. I suddenly felt sad that my holiday was already coming to an end. Hadn’t it just started? At the same time, I had seen so much in not even one week that it felt like I had been out of London for a month. No less. It was the 1st of September, and, just like years ago when it was the day to return to school, this day marked for me the end of the summer. The temperatures of the air and the sea felt notably lower than in Montenegro a few days ago. After a quick swim in little other company than a handful of Russian enthusiasts, I lazily transferred to the airport. The pleasant surprise of the day came from British Airways, who very kindly and unexpectedly upgraded me to Business Class. And it is not even that I fly with them that often! The aeroplane gained speed, and Croatia’s sparkling blue seas and dreamy green mountains soon filled up the entire aircraft. 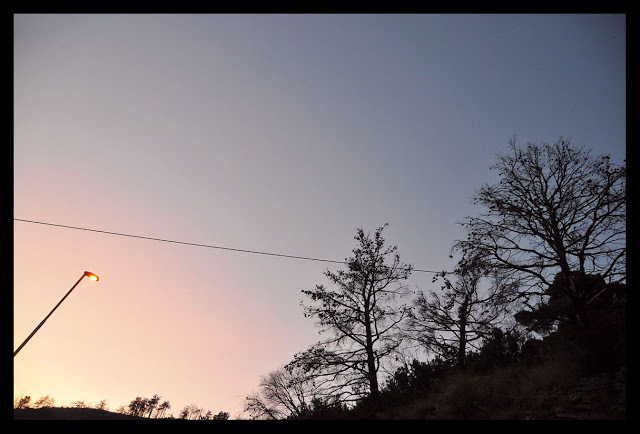 A few more moments, and they disappeared far below. Goodbye, my Adriatic. When I reached Gatwick airport, I realised that my train to central London was running 10 minutes late. Tired travellers around me were cursing as they accused the entire National Rail of gross mismanagement. And then I remembered the Belgrade-Bar railway. I remembered being held inside a boiling train for over an hour and praying for the faulty rails to be fixed. I remembered arriving in Bar shortly before midnight, three hours after the scheduled time. I remembered the deadly cigarette smoke filling up the compartments, my overly friendly neighbours, tipsy train conductors and unexpected exhibitionists flashing themselves at our train passing by. I remembered all that – and just smiled. And got myself a cup of coffee.